Located in the Granita Cluster, in the Hoth Quadrant of the Anoat Sector, along the Ison Corridor, Hoth orbits the blue-white star Hoth on a wide elliptical orbit. Beyond Hoth is a large asteroid belt, known as the Hoth Asteroid Field, from which small asteroids regularly break off, crashing into Hoth’s surface as meteorites. Frozen wastes are what can be found on Hoth. But that’s not all, for there are many interesting locations that are worth the trip. 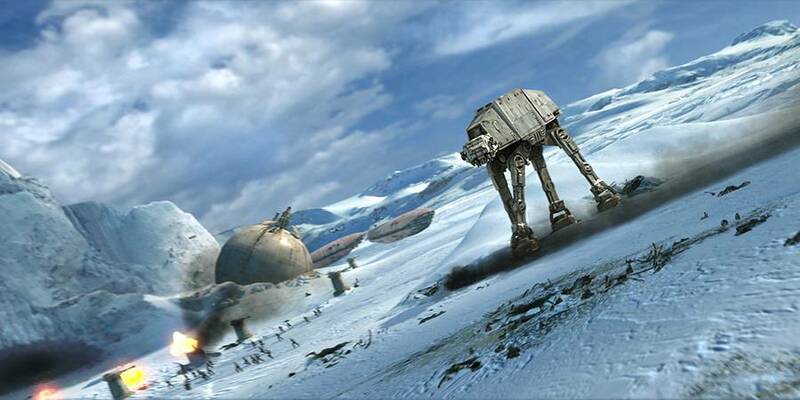 You can visit Echo Base, the former headquarters of the Rebel Alliance, and the surrounding trenches that played a role in the Battle of Hoth in 3 ABY. 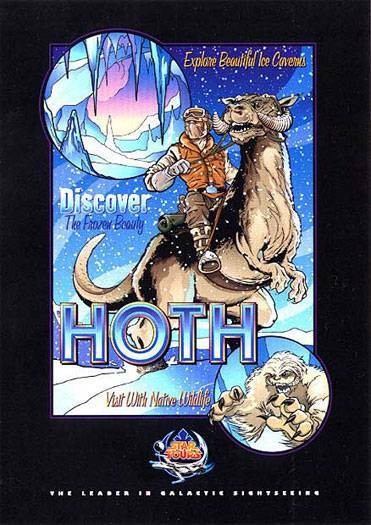 Take a tour along the glacial features on Hoth, such as the Moorsh Morraine, the Lnteel Glacier and the Cirque Glacier. Or visit other natural formations such as the Clabburn Range, the Hanging Valley, the Kerane Valley, or Mt. Ison, the tallest mountain of the North Ridge. Explore beautiful and mysterious ice caverns. Ski the most incredible slopes in the Galaxy! Ask your tour-operator for the possibilities of a Tauntaun ride.